Check out more pics from this year’s Carnival. Gallery two features images from games like Fetch the Sausage, the herding demonstration and Flyball Challenge plus candid shots of some of our many visitors. 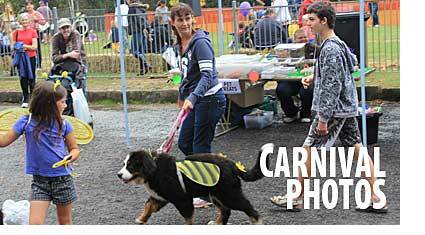 Carnival at the Vets picture gallery one can be found here. Dr. Bek cuts the Carnival cake — a treat for the dogs.